New Zealand in autumn is meant to be beautiful, especially for landscape photography. I have travelled to New Zealand numerous times but never when the trees are in full colour. Otago is the central area where I will be able to find the colours. These colours will go from yellow, orange and red. The trees have been brought in by the original settlers in the areas of Tekapo, Mount Cook, Wanaka, Arrowtown and Queenstown. I start off in Christchurch where I pick up a Hitop Camper from Apollo. I will then be touring for a couple weeks, searching the best vistas, colours, clouds and mountains that the South Island of New Zealand has to offer. This is the scenery I hope to find again. This photo was taken in spring a few years back. You can see the deciduous trees in the foreground which should be in full colour when I get there. Aoraki Mount Cook seen from the eastern shore of Lake Pukaki. I’ll be visiting place like Lake Pukaki, Twizel, Omarama and Macetown. I hope to get a chance to do some night photography, especially in Tekapo where they are renowned for their clear skies. As I travel along the back roads of New Zealand, Internet access will be patchy I suspect but I’ll attempt to keep the blog updated as I stop at campgrounds that have wifi. 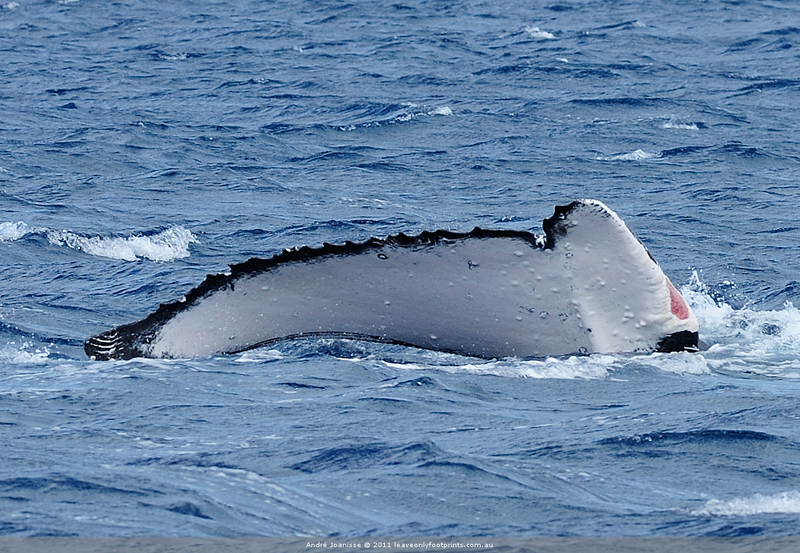 Recently, we visited Tonga to snorkel with the humpback whales and their calves. We had a wonderful time and some amazing experiences. We started the trip on the islands of Vava’u, then Ha’apai with the last night on Eua. 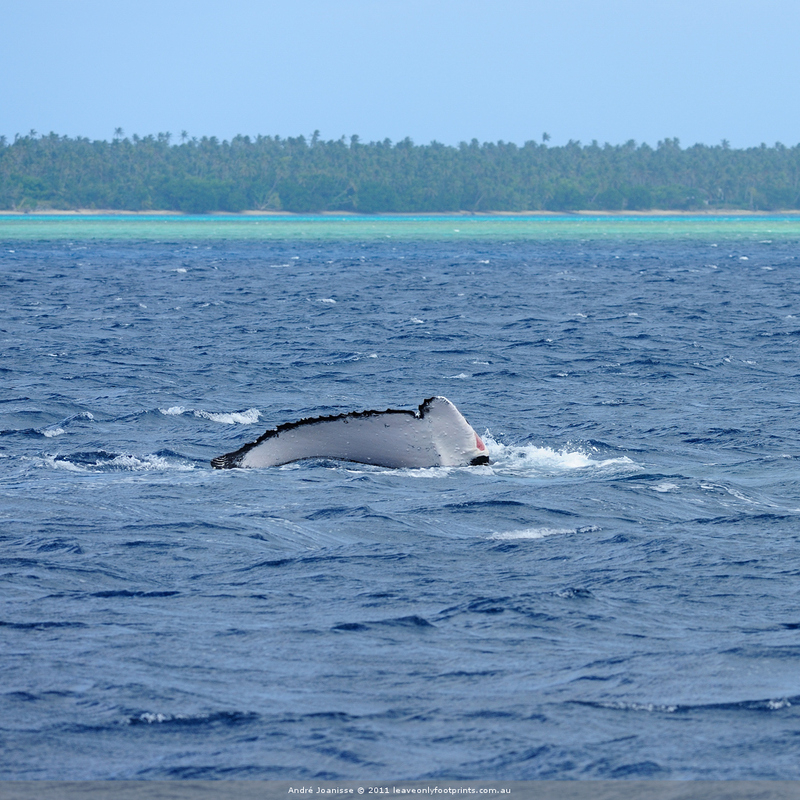 While on a whale swim cruise with Whale Discoveries in Ha’apai, we came across this female humpback whale that had most of its right fluke missing! Even with most of her right fluke missing, she looked very healthy and had a healthy calf with her. Prior to getting this photo of her fluke, both her and her calf were breaching a number of times. Here is 100% crop of the fluke. More whale photos coming up soon. It has been way too long since I have last posted on the blog. I now have a good backlog of content that needs publishing. So what is in the pipeline? So stay tuned, we are about to get going. Arrived by back home, safe and sound. 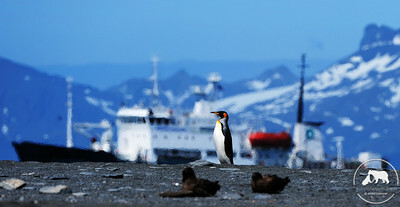 The ocean crossings were all very smooth on the voyage with Aurora Expeditions, Patagonia scenery has been breathtaking. I have just been busy helping out with nursing my mother-in-law following a hip replacement. I have been going through photos but they aren’t quite ready to post. That will happen between Christmas and New Year. I’ll take this opportunity to wish you all a very festive season and a happy New Year. 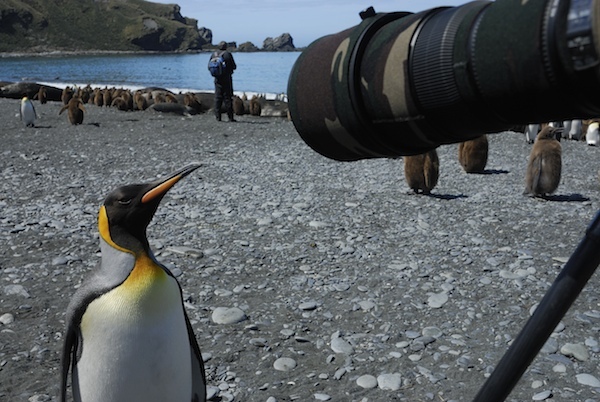 Nature, Wildlife, Travel, Photography, what more can you ask for? The journey started locally but has since taken me to the spectacular beauty of the Australian outback, the wilds of Africa and the majesty of the Canadian wilderness. 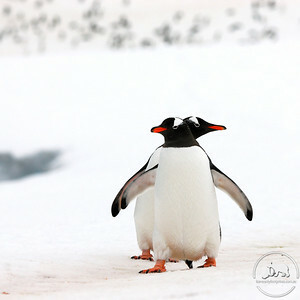 My love of travel and photography has allowed me to capture special images throughout my adventures. allowing them to experience my journey of discovery. The exhibition run from Saturday 7 August 2010 and will run till 29 August at Gallery RAW. Gallery RAW has recently re-opened in new premises at 202 King Street, Newcastle. As we get closer to opening night, you can follow the prints being added in the exhibition gallery on the Leave Only Footprints web site. On opening night, proceeds from the sale of the artwork will be donated to the Leukaemia Foundation. Make sure to visit their web site if you want more information on this great charitable organisation. This is my first exhibition and it is extremely exciting to see so many of my photographs printed and hanging on the walls in one location. Make sure to join me at Gallery RAW, Thurday to Sunday between the hours of 10 till 4. Karijini National Park in Western Australia is a amazing location. I am finally getting to process my images. So, back at the end of April, I was at Karijini National Park with a bunch of other photographers. It was a great time and the park is a photographer’s dream Great open landscapes, tight colourful gorges, great company, what more can you ask for. The workshop was organised by Christian Fletcher. I had met him briefly in the past and had been following his blog. He is a great photographer and I certainly learned heaps while at the workshop. On our first day in the park, we made our way to Oxer Lookout. The colours in the Pilbara region of Western Australia are fantastic. We have these deep reds, blue skies, yellow spinifex. This made for a great start to the workshop. Christian helped work this image in Photoshop. With my new found techniques, I hope to really improve my post-processing skills. I am now well and truly on my way to a great outback adventure. I am awaiting my connecting flight to Perth. Over the next three weeks I will be travelling through the north west of Western Australia starting with a great workshop with Christian Fletcher, Peter Eastway and Tony Hewitt. 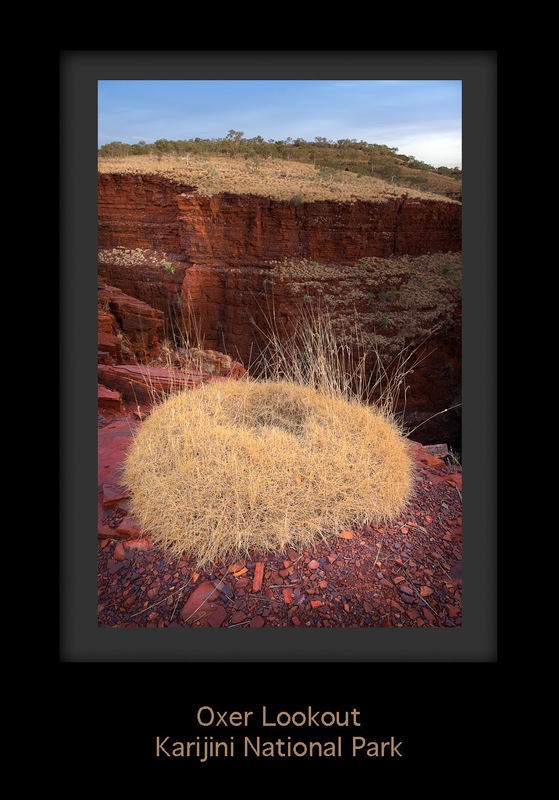 This is all taking place in the Karijini NP in the Pilbara. Following on, I continue to Broome, Great Gibb River Road and finish in Darwin. All up, it is about 5000kms! I hope to keep the blog updated as I go, all dependant on Internet access. Here is a new banner served up on the blog. This is Two Moose Lake in the Yukon, Canada. Two Moose Lake is located in Tombstone Territorial Park. This section of the park is along the Dempster Highway that leads to Inuvik. Two Moose Lake is in the Blackstone Uplands and you are in the tundra in this section of the park. This is the most southern area of North America where you can experience the tundra environment. We were fortunate to be in the park right at the peak of autumn colours. The tundra and the mountains were covered in bright reds, yellows and oranges. It is a amazing sight to see. There wasn’t much wildlife when we were there. We saw a small herd of caribous, only eight of them, in the far distance. The Porcupine Caribou herd can number up to 150,000 animals. The herd tends to be in this area in the winter time, so a bit early for us.